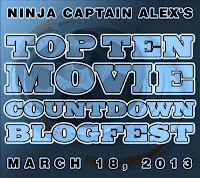 For today's Fantasy Chat, I decided to merge it with the Ninja Captain Alex's Top Ten Movie Countdown Blogfest. Today I'll tell you my top ten fantasy movies. Click here to see the other participants. Such a cute, touching movie! And it has dragons! Such a trippy story and movie. I've enjoyed most of the versions I've seen. And I remember being terrified of the Jabberwocky in the Through the Looking Glass movie they had back in the 80s. I wanted to be an archaelogist because of these movies. It's the first fantasy movie I ever owned. Plus, it's my beautiful cat's name too. Yes, all the Batman movies, although I particularly love the newest ones. Superheroes are awesome, but Batman is the best. Yes, I'm fudging a bit here, since it is more science fiction, but it's such a fantastic movie. Loved the movie and can't wait to see the other two. Yes, I love the Disney version. I just find it magical. Don't make me pick one movie out of the three. Ditto as LotR. Love them all! And here is the cover reveal of 1305 and 1306 - The Oracle and the Vampire by Christine Rains. Your list rocks! And Jurassic Park is just such an amazing film. I love all those movies! One of my favorites is The Last Unicorn. Great list. I love all of these movies. So many good ones it was hard for me to choose only ten! How to train your Dragon was sooo cute. And I am also a fan of the Disney Beauty and the Beast. 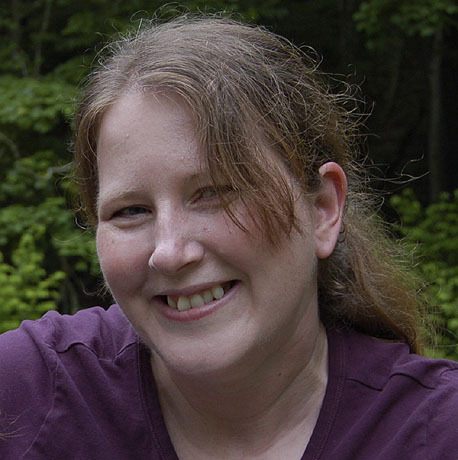 Good luck to Christine, too! I've seen every one of these movies and enjoyed them all. Great list! I see a real fantasy lover's list here! So many people recommend How to Train Your Dragon. Must see that soon. How To Train Your Dragon is such an awesome film. And I included all the LOTR films into one too. You can't pick just one. Congrats on the Oracle and the Vampire! I liked Alice a lot too, as the visuals were completely stunning. Harry Potter! Yay! I was actually watching a few bits of the films this weekend. Great list! :) And thank you so much for helping with my cover reveal. I'm very excited to write Harriet's story. I love Cinderella, but Beauty and the Beast is my favorite "princess movie." Belle reads! Libraries! Oh my! But Cinderella was the first disney flick I ever saw, so it's got a special place in my heart. I have to agree with your list... aside from the Hobbit because I missed seeing it in theaters and am waiting for the BluRay release. =( I'm sure I will highly enjoy it when I finally see it. I love all of your choices, Cherie. You and I have similar tastes. Can't wait to read Christine's upcoming book. This one looks like it could be my favorite yet of the 13th Floor series. Oh yay, I'm happy to see The Hobbit on someone's list. :) Christina's cover is quite enticing. Okay, this was one list too many with "How to Train Your Dragon" on it. I now have to officially get around to watching this. That said, how there could be a movie with dragons in it that I haven't watched escapes me. I'm a fantasy lover so I love your list. Many of them are on my list too. I love that you have so many Fantasy movies on your list. You're a supportive fan! Wonderful movie choices!!! I can't believe I forgot Harry Potter and How to Train Your Dragon on my list. That list rocks! :) Especially Beauty and the Beast. So classic! Agreed, picking one Harry Potter movie just wouldn't be possible. This is a great list of movies. I like them all too. I'm glad How to Train Your Dragon is on so many people's lists! Great list. I had such a hard time narrowing my list to only ten. This is the second blog I have come upon that has, How To Train Your Dragon, listed as a favorite. I missed that one. I guess I should check it out. I haven't even heard of it. Now, I feel, very out of the loop. How to Train Your Dragon would have been in my second ten! Great list. How to Train Your Dragon is awesome! What a fabulous movie and soundtrack. Same goes for LotR and Indiana Jones. Although, if I could mention sci-fi, I'd put in the original Star Wars movies. They are just so flippin' amazing even after all these years. Aww, my little niece loves to watch "Dragon!" I never get to watch the whole movie though cos she moves on to playing and doing something else! She has a wonderful cover. Also, love your choices for the top 10. Nice movie list!!! I've seen all of them but Alice in Wonderland and I am hoping to. How to train your dragon is one of my favourites, I love that one. I just saw the final HP movie on cable the other day. Still sad to see the series end. How is this considered a kids' movie again? Lol. Hmm. Seeing "How to Train your Dragon" on a lot of lists in the blog hop. seriously, sometimes i will literally sing the teapots song for beauty and the beast when i'm getting my girls all dolled up. it's just a head sticking song! I might've seen half of the films on your list. I'm not sure if they'd be considered fantasy by modern definitions, but I love the silent German Expressionist films like The Golem, Waxworks, and Faust.